Hall also praised the job of the Redskins front office, Scot McCloughan and Bruce Allen in particular, for putting together a roster that was in a position to reach the playoffs. In was also important that players were brought in not just because they were the highest-rate amongst available, but because they could be envisioned to fit in with the system Washington already had in place. Hall joined Jason Hatcher in thanking the younger Redskins on the roster after the Eagles win. Veterans appreciate the scratching and clawing they did to help capture the division, which might be one of the higher moments for players whose careers are beginning to wind down. The Washington Redskins have been a fairly opportunistic bunch under Joe Barry‘s defense and that is perfectly alright. They are not to the talent level where they can purely dominate teams, but if they can “keep guys out of the end zone, we feel good enough about our offense to put points up.” Timely turnovers and impressive goal-line stands over recent weeks have been a recipe for success in Washington and could carry over to the playoffs. 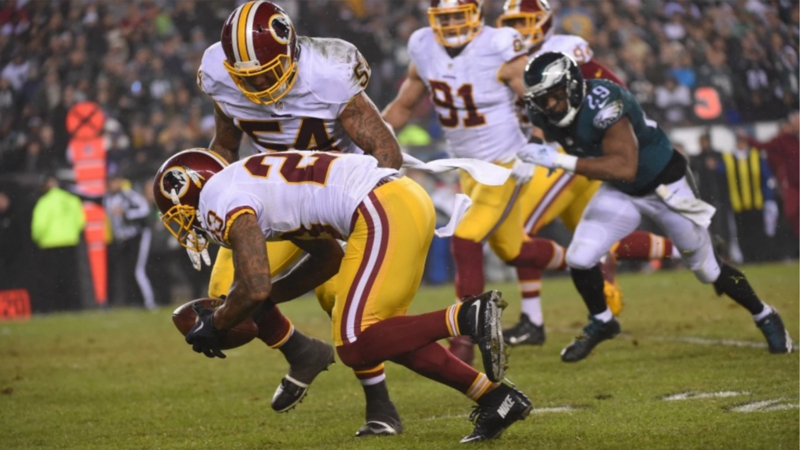 The Washington Redskins will not know their Wild Card playoff opponent until late Sunday night. Although that means that the coaching staff cannot start to gameplan and use Week 17 as essentially a bye week, “it doesn’t matter to” DeAngelo Hall. The veteran corner thinks fans might want to have a revenge game against Seattle for bouncing Washington out of the playoffs in 2005, 2007, and 2012, but Hall made it clear that both teams are far different than those days. At 32, DeAngelo Hall is probably nearing the end of his career. A year removed from two consecutive tears of his Achilles tendon, his determination to come back his truly remarkable. In recent years of horrid football, the former Hokie’s presence over the last eight seasons has been a positive and worth raising our glasses to.